Nappy Roots | Welcome to "The VIPP Report"
Grand Prize Winners to receive all-expenses paid trip to the College Football Playoff National Championship game. LOUISVILLE, KY (August 11, 2015) – As part of the 11th annual College Colors Day celebration, Birdgang Brand Clothing is participating in the inaugural College Colors Challenge and encouraging fan support across social media for their favorite team. The grand prize is a chance to win an all-expenses paid trip to the College Football Playoff National Championship game. The College Colors Challenge is a new socially-fueled national contest celebrating the excitement of college football as the season begins. Through participating in a series of photo and video challenges on social media, fans can flaunt their colors, express their school spirit, and vie for a trip to college football’s title game. The challenges revolve around three categories represented by the hash-tags: #SQUADPIC (large group), #FAMPHOTO (family), and #SELFIE (individual). Some of the challenges include fans posting an epic trick shot video while wearing their colors, an awkward college colors family photo, and college colors displayed at the office. Fans are encouraged to download the College Colors app (currently available in both the iOS App Store and Google Play Store) and visit CollegeColorsChallenge.com for full challenge details. The grand prize winner will receive round-trip airfare, hotel accommodations, and two tickets to the national championship game in Glendale, AZ, courtesy of CLC and the College Football Playoff. The College Colors Challenge kicks off on Monday, August 10. Winners for the first set of challenges will be announced via CollegeColorsChallenge.com on College Colors Day, Friday, September 4. Each month during the college football season, three new challenges will be issued for a chance to win exciting prizes, including two more opportunities to win two tickets to the national championship game. College Colors Day, created by the Collegiate Licensing Company (CLC), which represents the trademark licensing programs of more than 150 of the nation’s leading universities, is an annual celebration dedicated to promoting the traditions and spirit that embody the college experience. Fans across the United States are encouraged to wear the apparel of their favorite college or university throughout the day. College Colors Day is celebrated by thousands of organizations, retailers, classrooms and millions of individuals who don their team colors and share their school spirit with friends and colleagues. CLC is a division of global sports and entertainment company IMG. Founded in 1981, CLC is the oldest and largest collegiate trademark licensing agency in the U.S. and currently represents nearly 200 colleges, universities, bowl games, athletic conferences, The Heisman Trophy and the NCAA. The mission of CLC is to be the guiding force in collegiate trademark licensing and one of the top sports licensing firms in the country. CLC is dedicated to being a center of excellence in providing licensing services of the highest quality to its member institutions, licensees, retailers and consumers. Headquartered in Atlanta (Ga.), CLC is a full-service licensing representative, which employs a staff of more than 90 licensing professionals who provide full-service capabilities in brand protection, brand management, and brand development. For more information on CLC, visit: CLC.com or IMGCollege.com. (Louisville, KY) Locally owned Birdgang Brand Clothing has reached a 3 year deal with Louisville Sports Properties, a division of Learfield Sports. The multi-year deal allows Birdgang to market their products at some of The University of Louisville’s biggest venues, such as the KFC Yum! Center, Papa John’s Cardinal Stadium and Jim Patterson Stadium, and creates an opportunity for the brand to increase visibility and brand awareness. Specifics of the partnership include advertising in the University of Louisville football and men’s basketball gameday program, baseball inning sponsorship, scoreboard marketing and tabling opportunities. “We are excited and optimistic by this partnership with Birdgang Brand Clothing,” said Louisville Sports Properties General Manager John Penny. “The Birdgang Brand brings a unique partner and product to the fans of Louisville Athletics and we are confident this relationship will only enhance the demand for Birdgang Brand apparel. Birdgang will have a table full if prizes and giveaways for the upcoming U of L vs. UK baseball game at Jim Patterson stadium Wednesday April 8th. 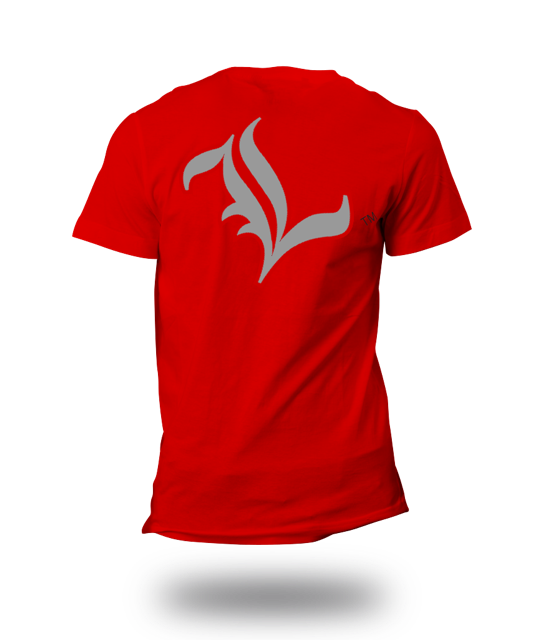 Birdgang Brand Clothing is headquartered in Louisville, Kentucky and is a high fashion sports apparel company centered around the University of Louisville Athletics. Birdgang Brand Clothing is supported and approved by the University of Louisville, and is officially licensed by the Collegiate Licensing Company, (CLC). Birdgang Brand Clothing can be found at JD Becker, Fan Outfitters and/or Cardinal Authentic.. To learn more about the Birdgang Brand and find vendor information, visit www.wearebirdgang.com. Louisville Sports Properties is one of nearly 100 collegiate properties managed by Learfield Sports. Learfield’s rich history includes four decades of developing trusted, long-term relationships with some of the most revered institutions and associations in the world of college sports. The company has prominence in all of the major conferences and titles the prestigious Learfield Sports Directors’ Cup. Learfield represents collegiate institutions, conferences and arenas for their respective multimedia rights and sponsorship initiatives, and offers these partners with professional concessions and ticket sales, licensing and trademark consulting and digital platform expertise through its owned companies. To learn more about its history, businesses and job opportunities, please visit www.learfieldsports.com.